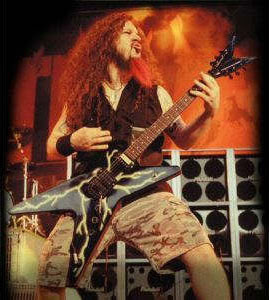 On December 8, 2004, while performing with Damageplan at the Arosa Villa in Columbus, Ohio, Abbott was shot onstage by Nathan Gale. Abbott was shot five times, including once in the head, killing him instantly. Damageplan's drum technician, John "Kat" Brooks, and tour manager, Chris Paluska, were injured. Gale fired a total of fifteen shots, taking the time to reload once and remaining silent throughout the shooting. To avoid being injured or killed himself, Abbott's brother and bandmate, Vinnie Paul, was taken to the bar/kitchen on the other side of the club. Jeff "Mayhem" Thompson, the band's head of security, was also killed in the incident while engaging in hand-to-hand combat with Gale. Alrosa Villa employee Erin Halk was killed after charging Gale after he had run out of bullets, expecting him to reload more slowly than he actually did. Audience member Nathan Bray was killed while trying to perform CPR on Dimebag and Mayhem. Brooks scuffled with Gale onstage but was overpowered and taken hostage in a headlock position. Brooks was shot several times (once in the right hand, his right leg, and his right side) while attempting to get the gun away from him. Five police officers came in the front entrance, led by Officer Rick Crum, and moved toward the stage. Officer James D. Niggemeyer came in through the back door, behind the stage. Gale only saw the officers in front of the stage; he never saw Officer Niggemeyer. Niggemeyer armed with a 12 gauge Remington 870 shotgun approached Gale from the opposite side of the stage, to avoid hitting the hostage Niggemeyer fired a single shot, striking him in the face. Gale was found to have 35 rounds of ammunition remaining. Nurse and audience member Mindy Reece, 28, went to the aid of Abbott. She and another fan administered CPR until paramedics arrived, but were unable to revive him. In May 2005, Officer Niggemeyer testified before the Franklin County grand jury, which is routine procedure in Franklin County after a police shooting. The grand jury did not indict Niggemeyer, finding that his actions were justified. Niggemeyer received a commendation from the Ohio Peace Officer Training Commission for his outstanding police work in time of crisis as well as the National Riffle Association award as 2005 Law Enforcement Officer of the Year. The five other officers that were first on the scene received Ohio distinguished law enforcement medals for their efforts. In 2006 James Niggemeyer penned the foreword to a book written about the event A Vulgar Display Of Power. 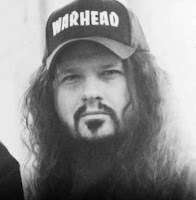 Early theories of motive suggested that Gale may have turned to violence in response to the breakup of Pantera, or the public dispute between Abbott and Pantera singer Phil Anselmo, but these were later ruled out by investigators. Another theory was that Gale believed Abbott had stolen a song the he had written. In the A Vulgar Display Of Power book, several of Gale's personal writings, given to the author by his mother, suggest that the gunman was not angry about Pantera's breakup or about a belief that Pantera had "stolen songs"; instead, the documents suggest that Gale's paranoid schizophrenia caused delusions that the band could read his mind, and that they were "stealing" his thoughts and laughing at him. Abbott's grave is located at the Moore Memorial Gardens Cemetery in Arlington, Texas. He is buried alongside his mother. 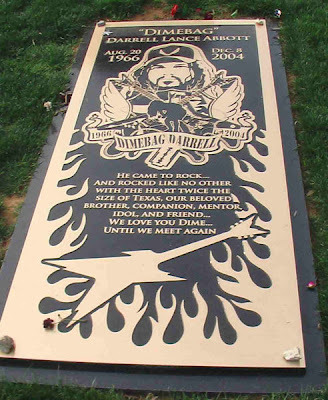 He was buried with Eddie Van Halen's Charvel Hybrid VH2 - a black and yellow Frankenstrat guitar, also known as "Bumblebee," that was pictured with Van Halen on the cover of the album Van Halen II - because Dimebag had asked for one in 2004, shortly before he was shot. He was buried in a Kiss Kasket. There's nothing I can say about this that hasn't been said before. So allow me to quote Phil Anselmo's lyrics from the Down-song 'I scream'. "All scorn me / a monster should be feared / witch hunt blame /regret and damn the day/ I scream / fallen leaves/ from the same family tree/wind blown halves / regret is all that's left / all that's left / words cut deeply /there is no secrecy / so long since seeing /my lifetime appealing / the two are not healing / I cannot help feeling regret / regret reflecting our memories / we know the pains of living/and I know he's seeing both of we/ regret he would not want to be..."